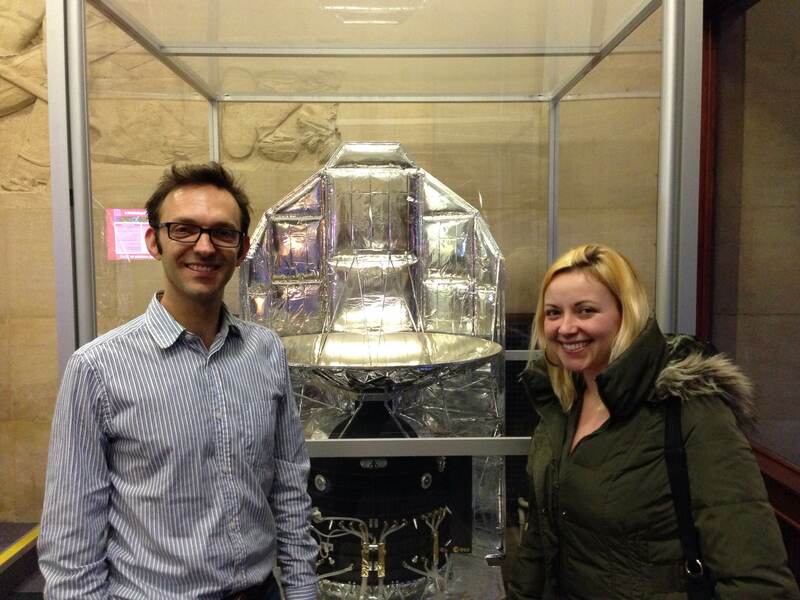 Dr Edward Gomez and Charlotte Church standing next to the scale model of the Herschel Space Observatory (whose SPIRE instrument was led by Head of School Professor Matt Griffin). 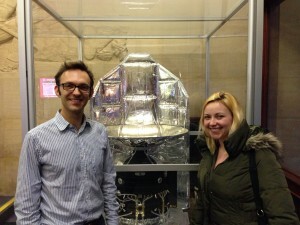 Dr Edward Gomez welcomed singer and television personality Charlotte Church to the School of Physics and Astronomy this afternoon to talk science for her upcoming new album. The School of Physics and Astronomy wish Charlotte well for the new album, and look forward to welcoming her back for more physics discussions.